If you experience headaches after receiving a massage, you're not alone. Post-massage headaches are not typically serious, but they can be annoying and prevent you from seeking out massage therapy when you need it. You can take a few precautions to reduce your risk of developing a headache after receiving a massage. 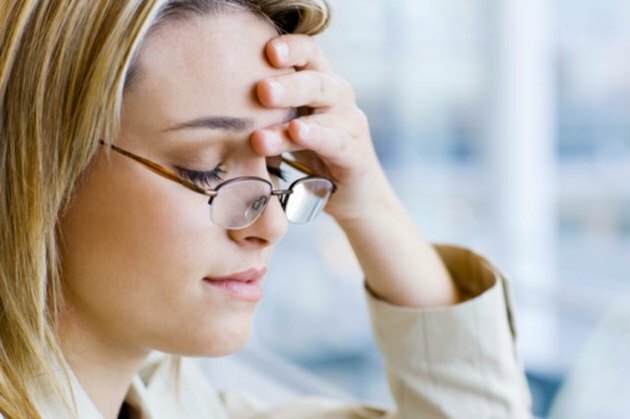 After you get a massage, you may experience uncomfortable or even painful headaches. Post-massage headaches can be accompanied by soreness or bruising. You may also experience flu-like symptoms including chills and nausea after a massage. If your symptoms occur regularly, talk to your massage therapist about how you can treat or prevent post-massage headache and soreness. If that does not help, contact your physician. A headache following a massage could be caused by a variety of factors. A massage can alter the blood flow in your body, causing your blood vessels to constrict and then relax. This change in blood flow could bring on a headache. If you become dehydrated or if your blood sugar drops while you are receiving a massage, these factors could also cause you to develop a headache, according to Vital Connections massage website. Your massage therapist may tell you that you experience headaches after receiving massages because massage causes your body to release toxins. However, this has not been scientifically proven. Massage therapy does release a buildup of lactic acid in your muscles, but getting a massage does not help clean your body of toxins, according to Keith Grant, Ph.D., on the Ramblemuse website. Avoid getting a headache after a massage by staying hydrated. Drink plenty of water before and after your massage. Keep your blood sugar levels up by eating a small snack an hour before your massage, then drinking a small glass of juice after your massage. Stretch regularly, especially before a massage, to keep your muscles warmed up and limber and to reduce your risk of developing a headache or soreness following your massage. Can You Work Out After a Full-Body Massage?